The district capital and Hanseatic town of Lüneburg counts 70,468 inhabitants (May 2015). Lüneburg is not only a destination for tourists thanks to the rural surroundings and the recreational areas, for example, the Mecklenburg Elbe Valley Nature Park and the Middle Elbe Biosphere Reserve, but it can also offer a very beautiful old town which is famous on a nationwide level, what with its historical town hall and the marketplace right in the centre of the city where the Luna Fountain is located. The fields of corporate crime and private investigations offer the detectives of the Kurtz Detective Agency a wide area for operations. Our private detectives and corporate detectives will gladly support you in your case in Lüneburg: +49 40 2320 5053. Lüneburg is very well connected to an efficient traffic network. From here, you can travel to Hamburg via the A7 or the A24 within 30 minutes or to Bremen, Hannover or Lübeck in 90 minutes. Lüneburg is also well connected to the network of the Deutsche Bahn, via IC and ICE. 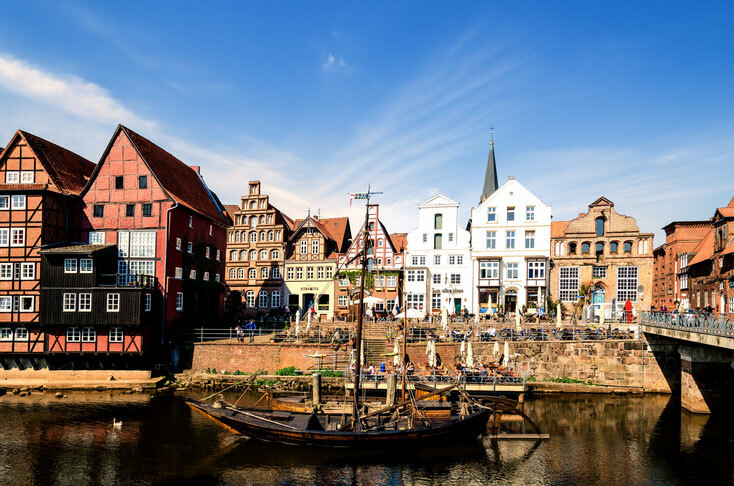 Considering the local economy, Lüneburg has grown into a location for the manufacturing industries throughout the past few years, especially for mechanical engineering and plant manufacturing. Most of the local businesses are mid-sized and owner-managed and many of them entertain trans-regional and also international business relations. The three large industrial parks of the Hanseatic town are Hafen, Nord, and Ost. In addition to that, there is also the "Medienpark Hanseviertel" which currently hosts three media businesses in Lüneburg. 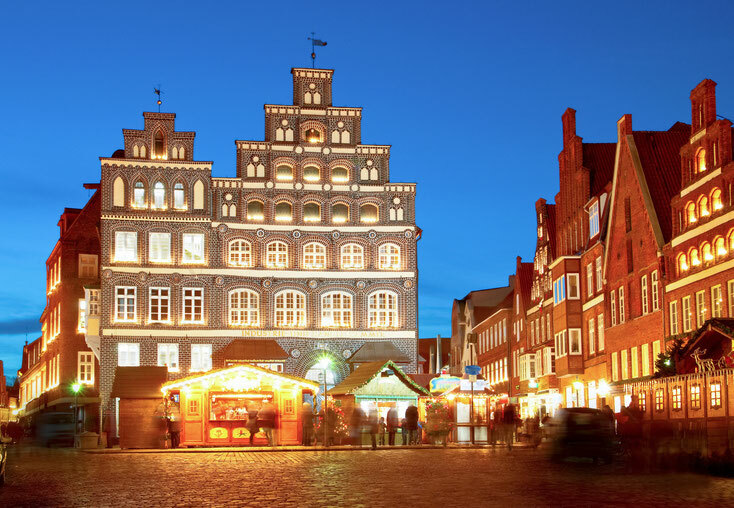 Since the Hanseatic town is a booming location for IT and communication technology, more of these businesses will follow since many of the long-established family businesses are changing their systems to connect development, production and sale to IT-based technology. The Lüneburg Chamber of Industry and Commerce is one of the city's landmarks. While Lüneburg's core can report a drop of committed offences, the number of organised crimes in the region has strongly increased. This affects private persons, as well as local businesses. Offences like murder and manslaughter, sexual assaults (40 % out of which are directed against children! ), battery and violation of the Narcotics Law may be slightly declining but offences such as break-ins, robbery, theft, fraud, and property damage experience a radical increase. Especially the area of theft has undergone a massive increase due to the growing number of organised gangs specialised in burglary and robbery, not unlike a locust plague. As a private person, you may find yourself faced with fraudsters more and more often, trying to get hands on your money (i. e. through "grandparent scams") or settling in one of your properties and then turn out to be unwilling – or unable – to pay, investment swindlers who are stealing from your savings, or damage or steal your vehicle. As a business person, you may be faced with disloyal employees who attempt to outsmart you when it comes to their claims for expenses, who may hand in a fraudulent sick note in order to work in another job during the requested time off, or with employees who plainly steal from you or provide competing businesses with your company's secrets. Every day, many of Lüneburg's dwellers are exposed to such threats. To be on the safe side – no matter if you need a background check of a potential tenant in order to save you from having to deal with folk unwilling to pay rent, or an employee check – the Kurtz Detective Agency in Lüneburg investigates on your behalf. Always discrete and thorough, providing you with evidence that will stand up in court: +49 40 2320 5053.